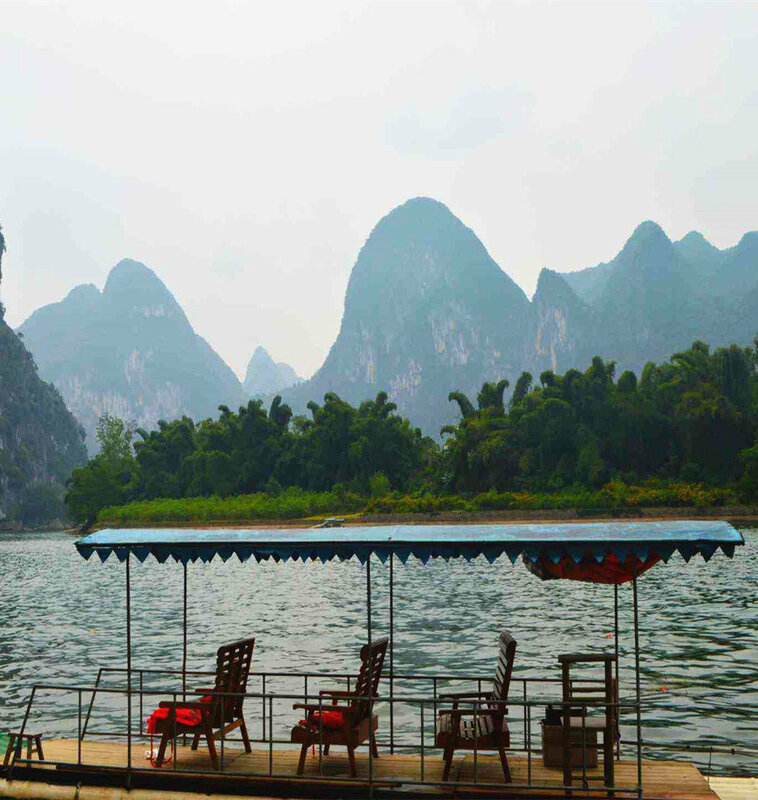 The Daxu Old Town (大圩古镇) is situated on the east bank of the Li River, 23 km (14.3 miles) southeast of Guilin City. 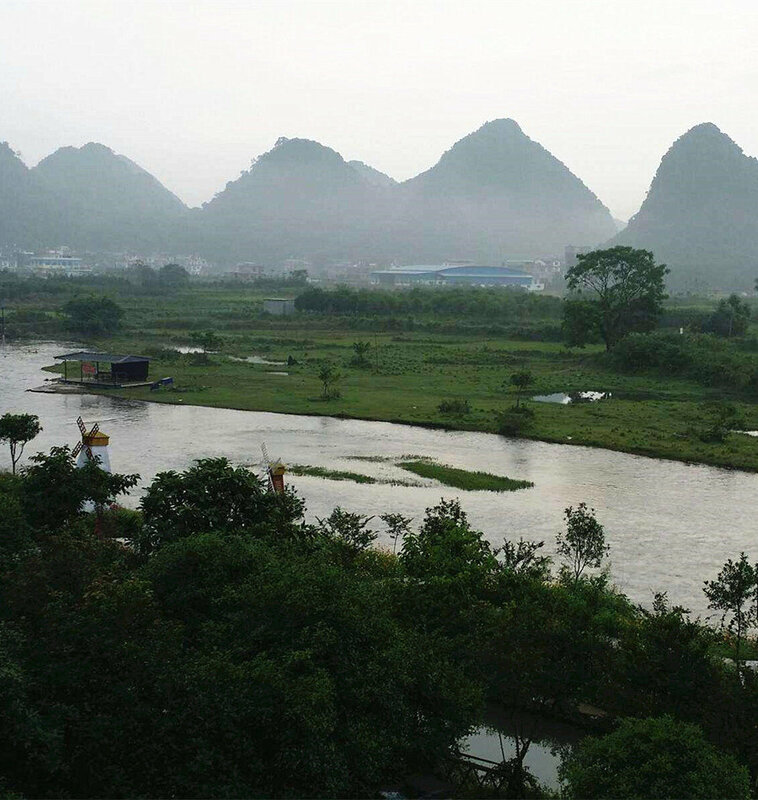 With a history of more than 1000 years, the town was originally built in the early Northern Song Dynasty (960-1126) and ranked No. 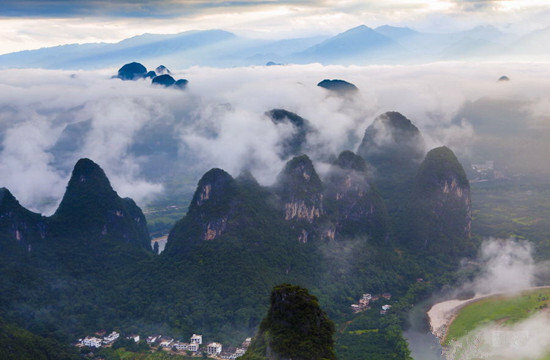 1 of the four renowned ancient towns in Guangxi Province as early as 600 years ago. 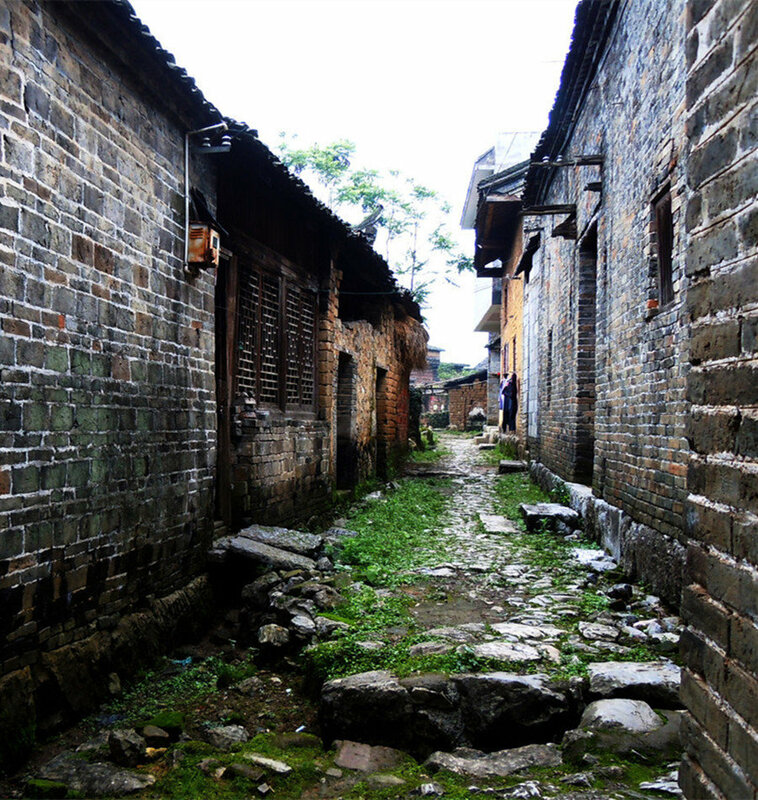 Fine examples of the town’s long history include: the Gaozu Temple(高祖庙), the Hanhuang Temple(汉皇庙) built in the Qing Dynasty (1644-1911), the assembly halls, and the two-kilometer long bluestone street lined with many well maintained buildings. While you visit the town, the Longevity Bridge(万寿桥) cannot be missed. Built in the Ming Dynasty (1368-1644), it is a stone arch both natural and simplistic in its beauty. 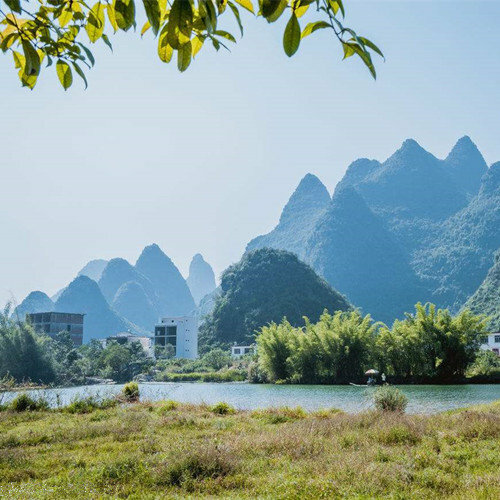 With the Li River at its west side, it is an excellent place to appreciate the charming scenery of the river, nearby the Millstone Hill(磨盘山) and the Snail Hill across the bank. The Seven Stars Tombs(七星古墓) discovered in 2001 add an element of mystery to the ancient town. The seven tombs were arranged in the form of the Big Dipper constellation and the size of the tombs was designed according to the brightness of the stars. It has been the first case of its kind in China. And the relationship between the tomb and the Big Dipper constellation remains a mystery. However, one thing is for certain: the funeral objects excavated from the tombs are of great value. 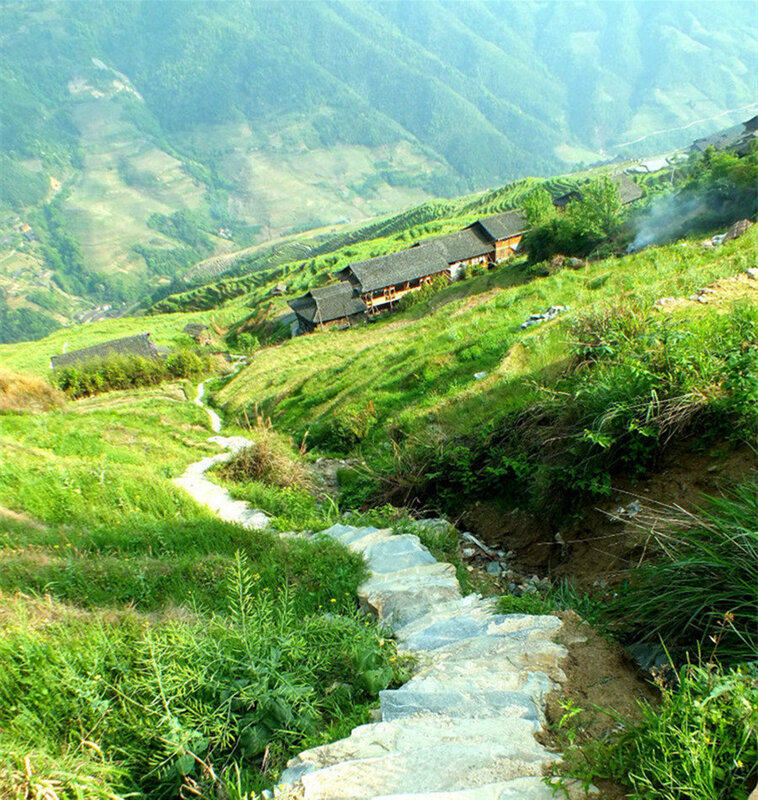 In addition, many scenes of the famous film ‘Sanjie Liu’（《刘三姐》） were shot on location in the town. As such, the area is now quite popular with many films and TV serials. The local food, customs, entertainment and traditional culture will also leave one with a lasting impression.